Route 611 & I-80 Exit Bartonsville. 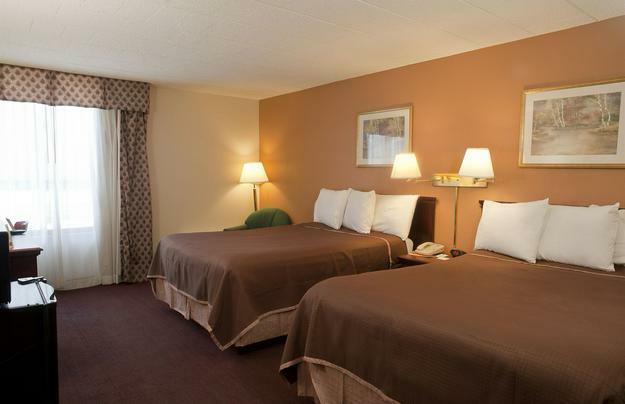 Located in the very CENTER of the Pocono Mountains off Routes 611, 33 and exit 46B of Interstate 80, the Hojo of Bartonsville was recently refurbished. 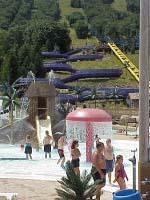 Within sight of Camelback Ski Mountain and close to Camelbeach, Mt Airy Casino, Kalihari Waterpark, and ALL Poconos things to do, this is an ideal spot to stay while you visit all the nearby Poconos Attractions. 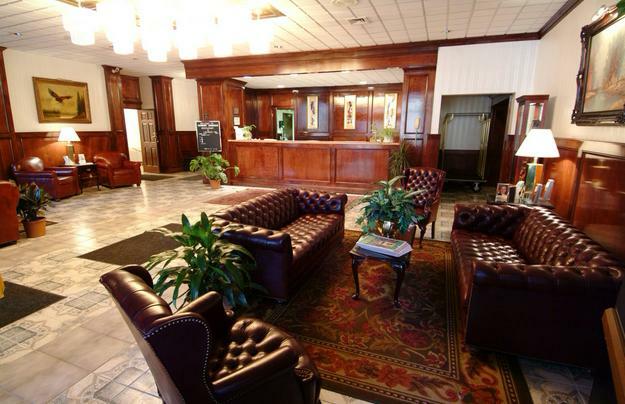 General Hotel Information: Rates range from $80-180 per night. Central to all Pocono attractions including Camelback/Camelbeach, The Crossing's Outlets, and Delaware National Park, the Holiday Inn of Bartonsville features 148 new rooms, a tropical indoor pool, a fitness and arcade rooms, and a "Down Under Steakhouse" restaurant & lounge. 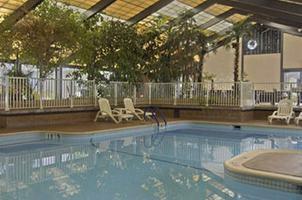 Banquet and conference room facilities for up to 300 persons available. Wedding packages offered. 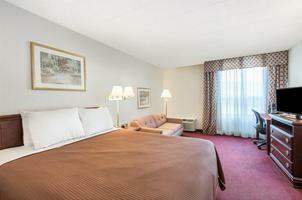 Close to Camelbeach, Camelback, Mt Airy Casino, American Candle, The Crossings Outlet Complex and most Poconos Attractions. Walk to 7 Resturants. Policies & Disclaimers: Rate disclaimer: All rates indicated are for search purposes only; verify rate when making a reservation. Check-In: 3 PM. CheckOut: 11 PM. Credit card guarantee required for all arrivals. Deposit may be required during special events. Cancellation before 6 PM Hotel Time on day of arrival to avoid charges. If a deposit is required, cancellation may be required up to 30 days in advance.Credit cards are accepted: AX, DC, DS, JC, CA..